UPDATE: Apparently the photo is from an empty display case in Austria, so it might be inaccurate. 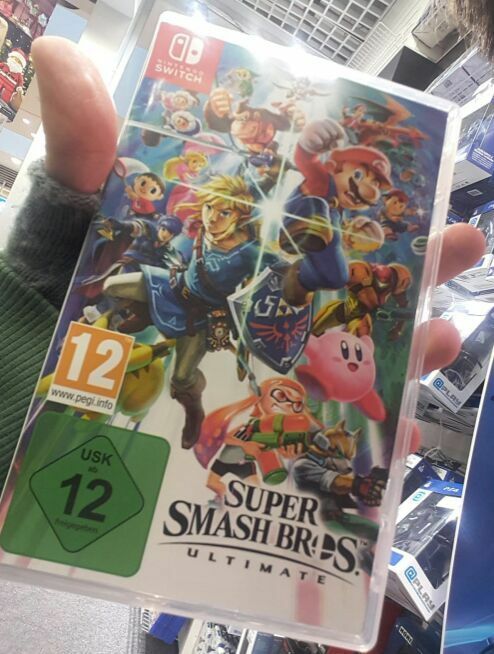 Multiple Spanish retailers have dispatched Super Smash Bros. Ultimate pre-orders early to customers due to the upcoming holiday in Spain. 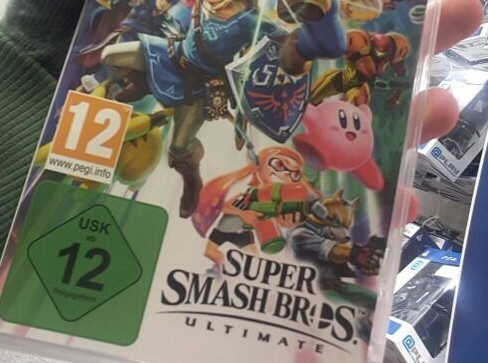 As you can see from the photo above, European copies of Super Smash Bros. Ultimate inside the Limited Edition come with two rating board logos – one from PEGI and another from USK. This makes it the most undesirable boxart as the PEGI logo is blocking Pikachu’s face. Sylvalum was upset with the boxart they received, so they asked GAME Spain if it was legitimate, to which they confirmed it is.